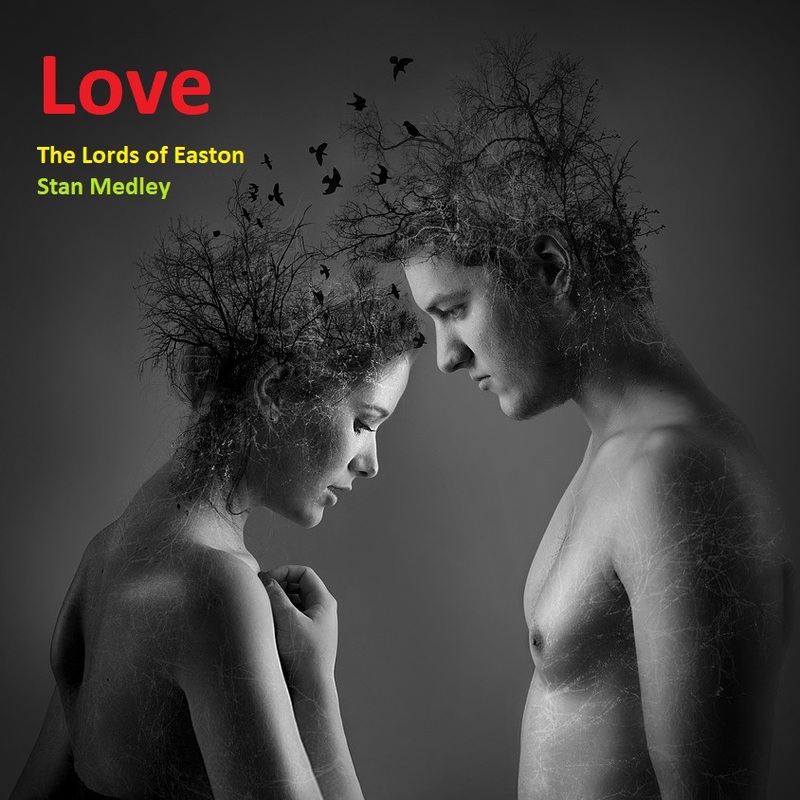 I got a preview of a new EP entitled “Love” by The Lords of Easton & Stan Medley. I must say this EP has wonderful vocal duets by The Lords of Easton’s Raven Kane and Sy Gorieb and just as impressive musical arrangement. If ever a song were to meet precisely with the sentiment implied by its title, this is the one. The performances from each of the two leading singers come through with absolute passion and genuine affection, the intensity or brightness of which grows and grows accordingly as the song pours out. For what begins as a notably gentle soundscape, with two softly spoken voices declaring their loyalty and promises, it later explodes into something incredibly moving and far more fittingly reminiscent of the true dedication and adoration that is the essence of a marriage commitment. The lyrics also begin in a fairly subtle way, presenting peaceful imagery and references that slowly start to alight that fire and connectedness. Moving onwards, the lyrics take on an even more poetic form, fusing truth, realization, learning, desire, and depth – this is backed up beautifully by the musical creativity surrounding it, and of course by the sensational vocal performances. There’s a lot about this single that underlines the blessing of true love and the dedicative essence of a wedding, perhaps most distinctly though, it is the lyrics and the back and forth between the two performers that speaks the loudest. The music has a classically theatrical or stage feel to it – the way the soundscape meanders, the changing levels of passion, the various details and moments that make it what it is. For fans of musical theatre or performance and power ballads in general, this will make for a gorgeously entrancing song to mark a special occasion. There’s plenty about it that is deeply personal, but it’s been made appropriately accessible to all – these statements and the way they’ve been expressed can become unique to each partnership; that’s the magic of the writing and the music. A powerful song, well-crafted and a pleasure to witness. You get a striking and mildly theatre-like sense of contrast and development with this song, the sort that overwhelms and completely takes control of the moment and the room within which it plays. At just over five minutes long, the piece fully utilises the time frame to progress gradually and relevantly to the unfolding theme. The two voices offering up alternative characters or sides to the story-line bounce off of one another in a manner that keeps things colorful and forever interesting. The entire soundscape holds tight to your attention with this kind of detail – everything has been professionally and thoughtfully arranged, so as the lyricism pours out more intensely, the instrumentation follows suit. The single begins with a delicately classic musical rhythm, fusing a little of the organic with something a touch more electronically retro. On top of this, Sy Gorieb, the initial leading voice adds to the delicacy, the song is almost whispered to you at first, or perhaps more accurately – the two voices whisper to each other, slowly increasing the intensity of their delivery as the music moves forward. This is precisely what takes place to keep that balance between the heavy and the wholesome consistent. There’s a peacefulness at times, but it moves on through passion and power, in just about every way, so whenever things feel a little too gentle – this dramatic re-animation draws you right back into the center of the action. It’s a mighty release, the build-up is phenomenal, the saxophone that comes in during the latter half adds yet another hint of style and character, and as the voices fade out further into the reverb – the melody and lyrics are left lingering clearly in your mind. It’s a really well written and brilliantly performed piece of music, immensely enjoyable.